Good result for the T3 crews with Gonzalez still author of the best time for Xtreme+. A long in the first 5 positions among the SSV, the Mexican Garza Rios was the protagonist of a rollover that delayed him to the finish line. Erfoud, Morocco (October 6th) – Traced as a boucle around Erfoud, the second stage of the Rallye du Maroc proposed to the competitors of this edition a mélange of fast and technical tracks with dune and oueds to cross, a difficult navigation and not visible tracks. The 281 kms designed for SSV/bike/quad – 329 for cars – have been characterized by many sports twists. 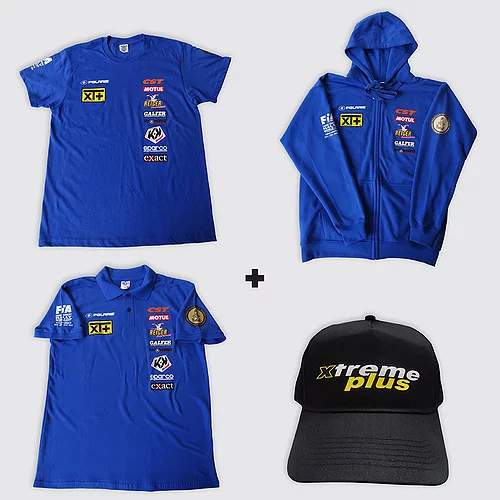 At the start between the SSV with Xtreme+ colors, the Mexican Santiago Creel Garza Rios with the Polish co-driver Szymon Gospodarczyk, was for most of the race in the first five placements of the category proceeding with a good performance. Unfortunately, just a few kms from the end, the #202 crew entered with great speed in an unmarked hole on the track, overturning the Polaris RZR. Managed to start again, Garza Rios and Gospodarczyk reached the finish line in 6h22’41”, ranking sixteenth of the stage. “It was a difficult day from the start because of the navigation – explained Santiago – and like other crews we lost a few minutes in finding the right track. Everything was fine until we overturned with the Polaris in an unmarked hole at high speed. Apart from this, the vehicle behaved very well”. To realise the best time in T3.1 for Xtreme Plus Team were once again Vincent Gonzalez and Stephane Duple, on Polaris RZR 1000, at the finish in 5h11’23”: for the Swiss driver this second stage of the rally was “fun but challenging on the navigation level” even if the French co-driver did an excellent job allowing the #362 crew to manage in the best way the ranking position that now sees him 2nd of T3 in the provisional general. 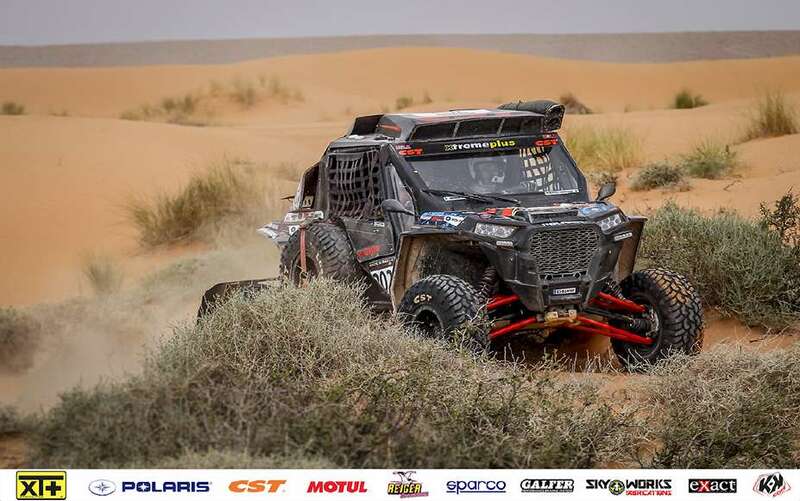 Twentieth of the day the Spaniard José Luis Peña Campos who brought the Polaris #360 to the finish line in 5h31’06” regaining a good race rhythm thanks to the co-driver Rafael Tornabell Cordoba feeling better after yesterday’s physical discomfort. The British Graham Knight and David Watson, engaged in Morocco to gain more experience on the African tracks with the Polaris RZR 1000, despite some difficulties in navigation have proceeded well: the second stage of the rally saw them at the finish in 6h22’23”, 23rd place in the daily ranking. Marco Piana, team manager and pilot Xtreme+, sailed by Steven Griener, on Toyota KDJ120, finally reached the finish line of Erfoud in just under 6h50′ supporting in the best way the four crewmembers of the French racing team of Gorrevod. The third stage scheduled for Sunday, October 7, includes a special marathon: the SSV will have to face 5 kms of liaison and 275 of special while for the cars the kms of SS will be 289 (+ 28 liaison). The SSV/motorcycle/ quad riders will spend the night in the desert in a marathon bivouac without any assistance.